Charles H. Lineweaver is an associate professor at the Australian National University’s Planetary Science Institute (PSI), a joint venture of the ANU Research School of Astronomy and Astrophysics and Research School of Earth Science. His research involves analysis of the statistical distribution of exoplanets, the cosmic microwave background radiation, and cosmological prerequisites for the formation of terrestrial planets and life. 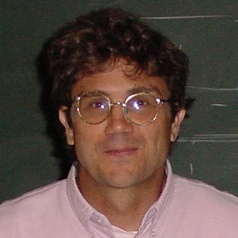 Educated at Ludwig-Maximillians-Universität in Munich where he was awarded highest honors in physics, Dr. Lineweaver earned a Ph.D. in physics at the University of California, Berkeley in 1994. He was a postdoctoral fellow at the Observatoire Astronomique in Strasbourg and, successively, a vice chancellor’s postdoctoral research fellow and Australian Research Council (ARC) fellow at the University of New South Wales (UNSW). He joined the UNSW faculty as a senior lecturer in 2002 and accepted his present position two years later. A member of the editorial board of Astrobiology Magazine, he is the author of more than sixty papers published in scientific journals or in volumes of collected works.